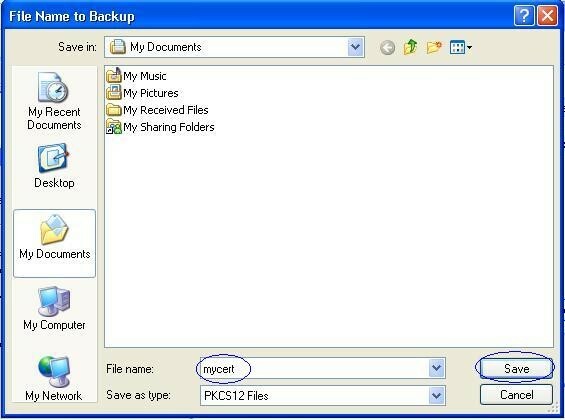 Codesign – How do I backup my certificate with Firefox? 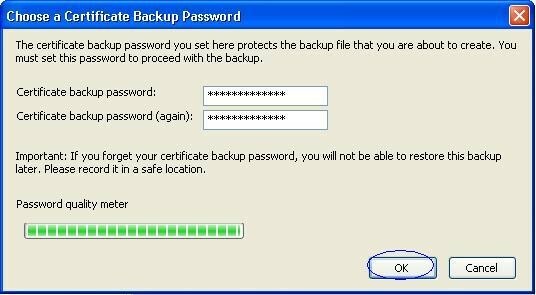 How do I backup my certificate with Firefox? Note: This article applies to Firefox 2 and greater. This article also applies for e-mail certificates (SMIME/DigitalID) as well as code-signing certificates. 3. 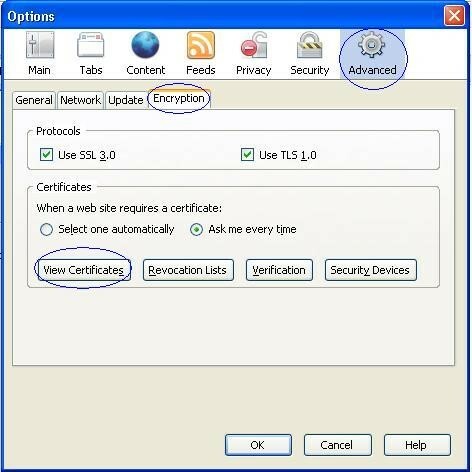 Navigate to Advanced -> Encryption and then click on View Certificates. This opens up Firefox’s certificate manager. 4. Select the tab that says Personal or Your Certificates. 5. 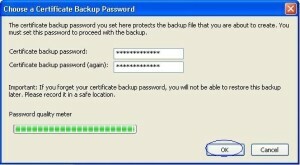 Highlight the certificate you would like to backup/export. 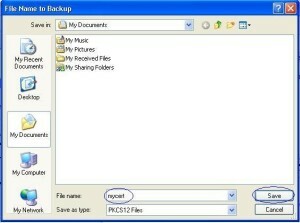 You should now be prompted to save the file. 7. Provide a password for your .p12 file. 9. This new file contains both your certificate and private key joined together as a PKCS#12 (PFX) file. Double-click newly created .p12 file. Follow on screen instructions from this point forward. Your certificate can now be used by any program that makes use of the Windows Certificate store. Examples: Internet Explorer, Outlook, signcode/signtool, and Google Chrome.